By now you may be nearing close to the end of our latest story content update, or have finished it already, and want to know when the next update will be! We’re aiming to release the next update in September, bringing My Time At Portia up to version 9.0. Our dev team are working hard to optimise the game and improve performance, so this next update will be heavily focused around this, as well as continuing the main story. 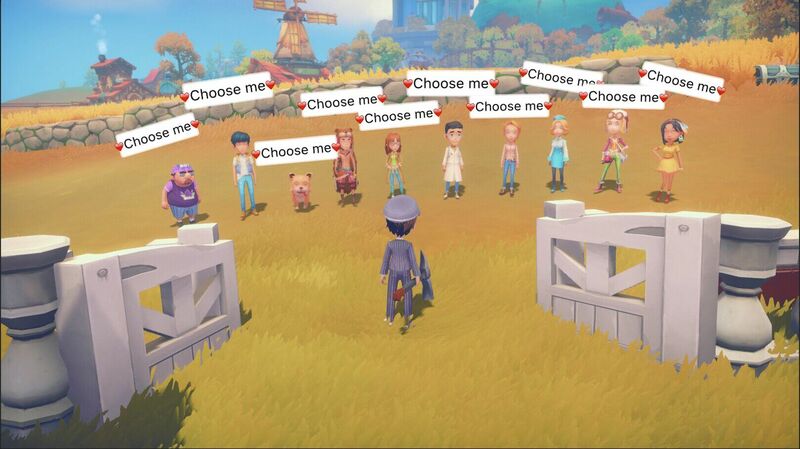 Today, we want to share with you one of the new features we’ll be putting into My Time At Portia with this update – new NPC relationship interactions. So, one day, you may wake up to find NPCs gathered outside your house to ask you out! And you’ll be able to decide who you’d like to hang out with for the day! Screenshot not captured in game, may appear differently in final version. However, this isn’t guaranteed to happen every day, so if it does happen – why not share a screenshot with us? We’d love to see who you have befriended! Will also be opening up a new location to take your date – the hot spring. 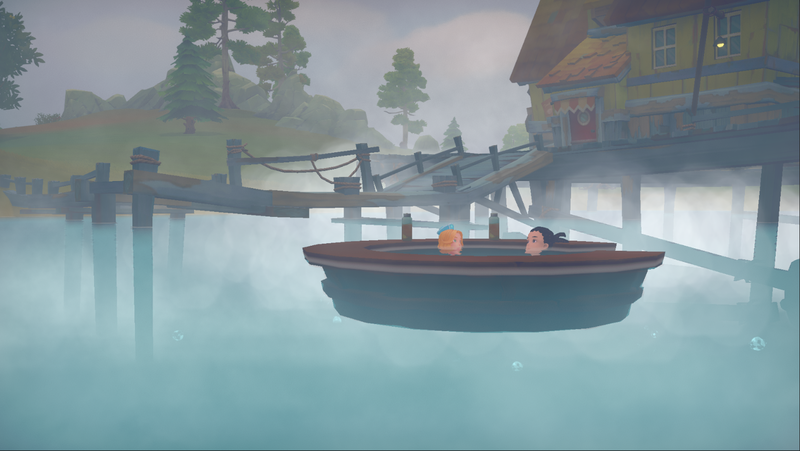 You’ll be able to chill out in the hot spring with the NPCs you like after a busy day of building!